Even if you're the next Stephen King or George R. R. Martin — and if you're the latter, please try to write faster — everyone needs a helping hand with writing. That's why the world has editors, and copy editors, grammar coaches, ten million books on writing, and most importantly, browser extensions that can help you better your craft. Let's face it; you might be a pretty good writer, but self-editing your work can be an agonizing process. While the Chrome and Firefox extension Grammarly can't catch everything, it does a pretty good job of flagging obvious grammatical errors and horrific misspellings. 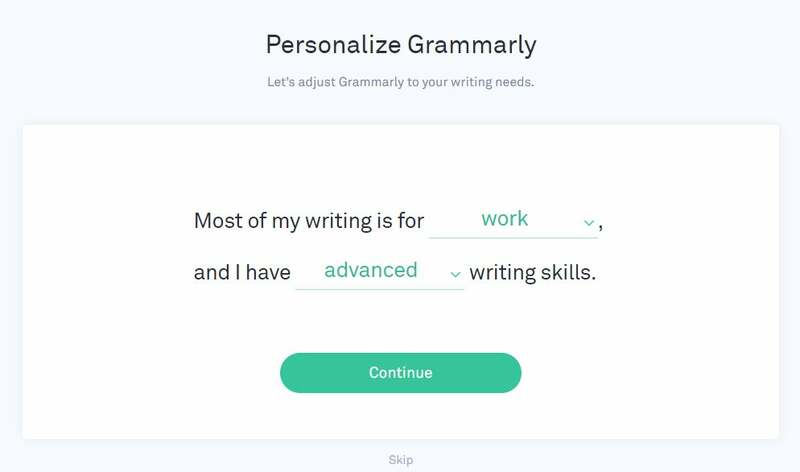 Once you've installed the extension, Grammarly takes you through a pretty straightforward onboarding process. 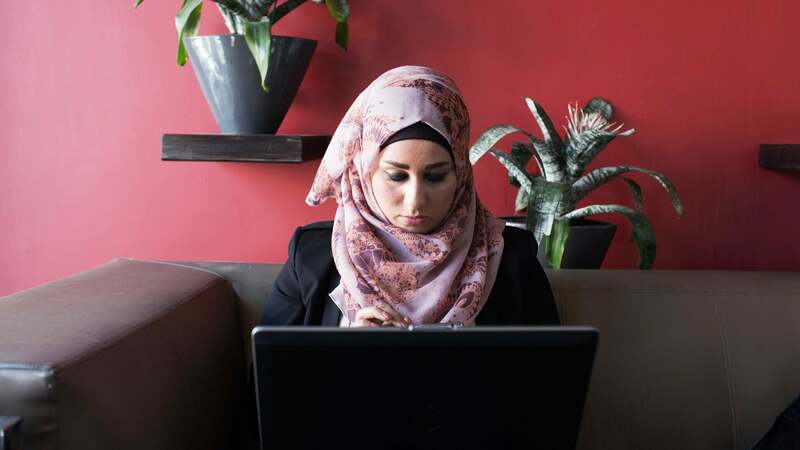 You're asked to indicate what kind of writing you mostly do — writing for work, school, or other projects. You're also asked to self-assess your average writing level: beginner, intermediate, or advanced. 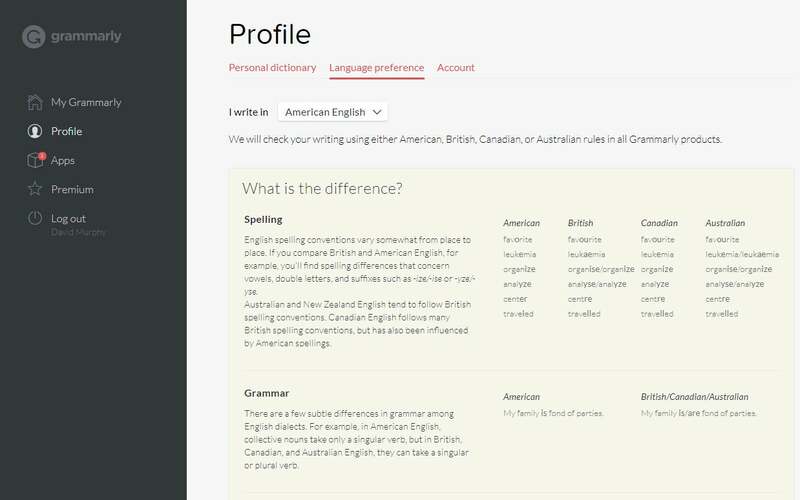 Grammarly then sets up a little profile of what kind of writer you are, so it can offer the most relevant and meaningful suggestions for your work. 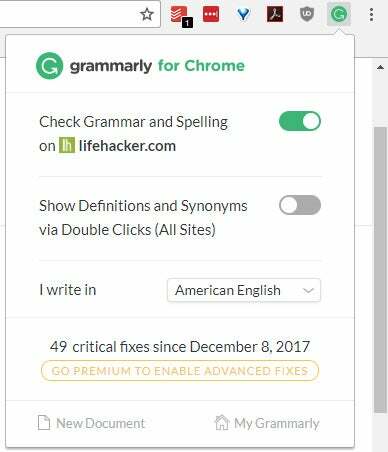 If you create an account with Grammarly, your options will synchronise across all of the locations where you've installed the extension. And that's it! 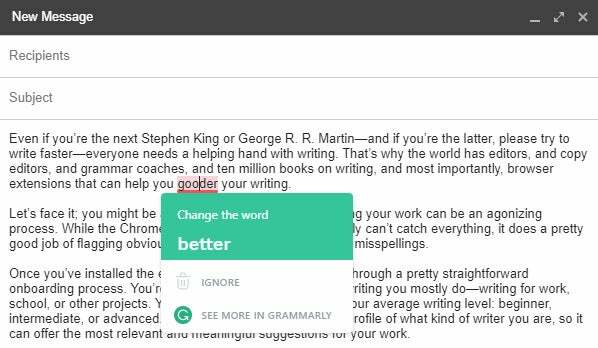 Start typing out an email or a blog post, to name two examples, and Grammarly will flag instances where it has a helpful suggestion or correction — just like the little underlined red words in your browser when you misspell a word. Though disabled by default, Grammarly can also double up as a dictionary and thesaurus; just click on its icon in your browser toolbar and select the option to "Show Definitions and Synonyms via Double Clicks." If you click into "My Grammarly" after that, via the link at the bottom of Grammarly's pop-up window, and then click on "Profile" on the sidebar, you can add custom words to Grammarly's dictionary. (Don't worry; "Smize" is already recognised.) You can also change your language preference — useful if you write British-style English instead of American, for example. 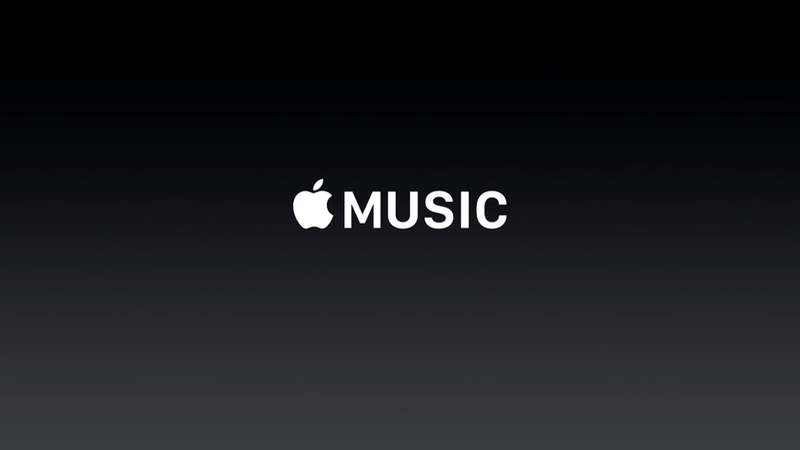 They have (had) some absolutely terrible data policies. Couldn't justify it.